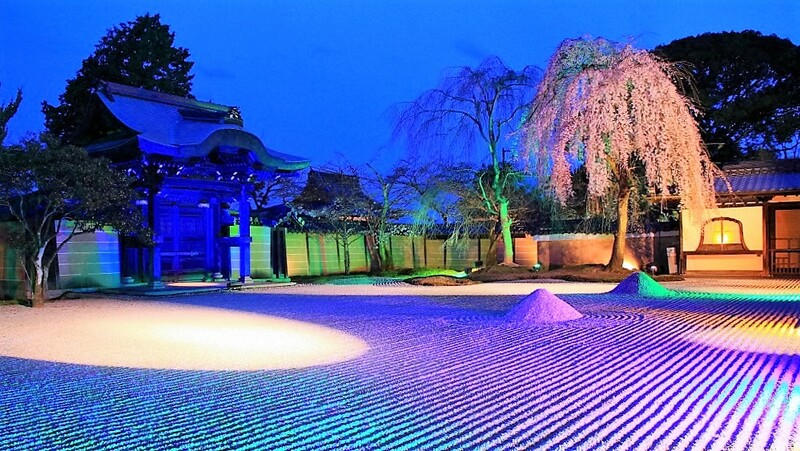 From mid-March to early May each year, Kodai-ji temple‘s stages are lit up with special illumination at night. Its beautiful gardens and weeping cherry trees create magical atmosphre. Hours : 17:00 to 22:00 every nights during the period.